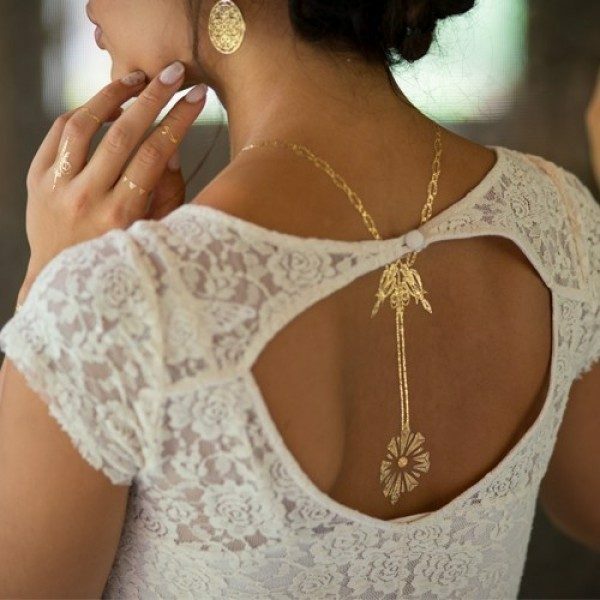 25 Metallic Jewelry Tattoos - Body Temporary Tattoos Only $3.99 + FREE Shipping! You are here: Home / Great Deals / 25 Metallic Jewelry Tattoos – Body Temporary Tattoos Only $3.99 + FREE Shipping! 25 Metallic Jewelry Tattoos – Body Temporary Tattoos Only $3.99 + FREE Shipping! For people who aren’t ready for permanent body art, you now have a new option. These temporary tattoos are inspired by fashion jewelry, so they have a shimmering, metallic look that’s perfect for a night on the town! These 25 Metallic Jewelry Tattoos – Body Temporary Tattoos are Only $3.99 + FREE Shipping! Get these for your spring vacation in the sun!